An accomplished poet, photographer, and owner of The Owl Press in California, Albert Flynn DeSilver grew up “with bats in the belfry” in his 1900 Dutch colonial clocktower home in New Canaan, Connecticut. While his architect father chased the bats with a tennis racket and his socialite mother sucked on her “ciggies” and sipped her endless martinis, a German governess, Miss Hedy, “a female Grendel from Beowulf,” terrorized young Albert and his two older sisters, Serena and Margaret. His experience growing up under the “wrath of Miss Hedy,” and “the inexplicable emotional distance from [his] parents,” left permanent emotional and psychological scars and provide the substance for DeSilver’s fascinating poetic memoir of his recovery and rehabilitation. Due to his six published volumes of poetry, one expects to find his love of words manifested in such descriptions as, “Mom’s perfume was the perfume of parties, of travelling, of leaving the house. It was the smell of distance.” Of Miss Hedy, he says,” She practically wore a can of Lysol spray on her hip in a holster,” Even his chapter titles sing. Hopefully, DeSilver’s published book will be graced with some black and white photos of family and friends, and full-color photos of his own work, especially from his psychedelic period. 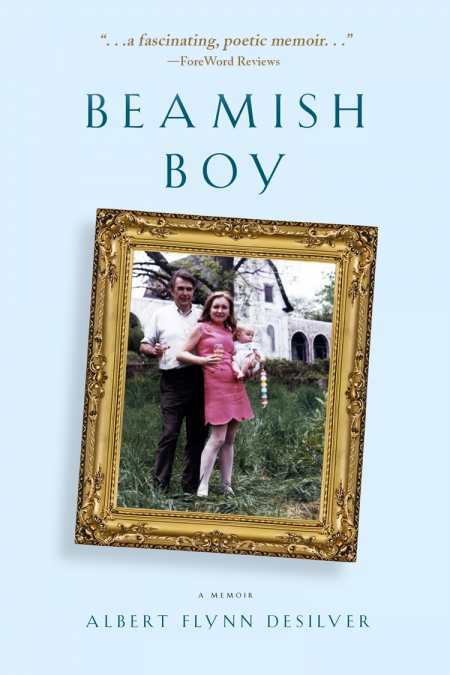 Over all, Beamish Boy is a good, solid read, a unique portrayal of an individual who has lived an interesting life and survived its many downs to come out on top.